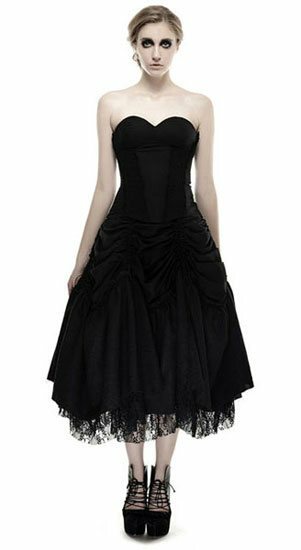 This lined and laced Gothic dress is made of 2 fabrics and one liner. The first fabric is 100% linen, the second 90% acrylic with 10% spandex. The liner is 100% cotton. The micromesh fabric features a flower design decorated with a strong lace and drawn strings. The skirt has adjustable draw strings to shorten or lengthen the dress.